We’ve got spec-tacular news for ladies who have always ogled over Danny Gokey sunnies, which (unfortunately) used to be solely for gents! The brand’s latest sunwear collection is not only for guys, but also for gals! And it’s no surprise, because who doesn’t dig these modernized retro frames? Boasting dapper round, classic wayfarer and sleek rectangular silhouettes, these shapely shades are sure to look positively fabulous on both masculine and feminine faces. Subtle details, like metal temple accents and grooved finishes, provide just the right dose of vintage flair to these otherwise contemporary sunglasses. 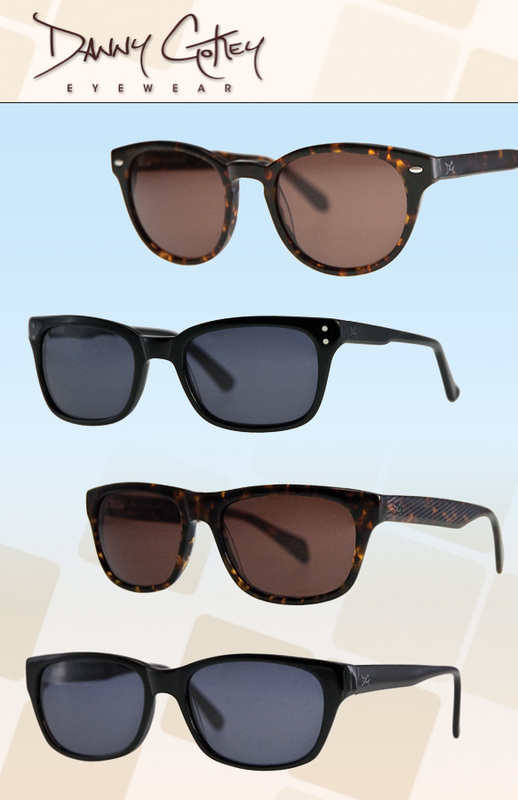 To boot, a neutral color palette of jet black and tortoise couldn’t be more perfect for unisex appeal! Get even more deets on these fun frames here!